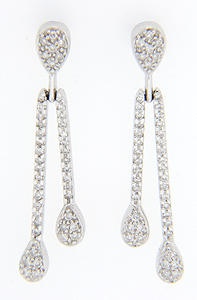 These 18K white gold antique style earrings are set with diamonds and dangle from posts. These sparkling earrings are perfect for any occasion. The earrings are set on posts.